Marina Rodriguez, PSJA High head drum major, conducts during summer band practice at PSJA High School Wednesday August 8, 2018, in San Juan. SAN JUAN — Band rehearsals during an August afternoon at Pharr-San Juan-Alamo High School appear not unlike others throughout the Rio Grande Valley. But here at PSJA, the Mighty Bear Band is working toward something new: making it to state for the first time in their history. With their show this year entitled “Starry Night,” inspired by the classic Vincent van Gogh work that has donned everything from T-shirts to shower curtains, the band is optimistic they can finally go all the way. However, it is also reflective of a greater philosophy. The program is about the students’ connection to everything, said John Garza, head band director. And that, he said, particularly rings true within a marching band. That message is communicated to and resounds with the students. The program includes “Moonlight Sonata” by Ludwig van Beethoven and “Claire de Lune” by Claude Debussy. The last movement of the show is a sort of a mash-up of those two pieces. Just like the compositions the band selected, their visuals also depict classic references. Paintings of van Gogh’s much-beloved “The Starry Night” will be featured on the field throughout the performance. This year’s program is the best one yet, was the consensus among some of the students, and the hope is that this year they will make it to state. Unlike their PSJA North and PSJA Memorial sister schools, the PSJA Bear Band has never made it far enough to compete at the state level. The bands are only eligible to compete at state every other year. This year is the last chance for the current crop of seniors and juniors to make PSJA band history by qualifying for state. Head Drum Major Marina Rodriguez, a senior, said this final opportunity meant a lot to her. 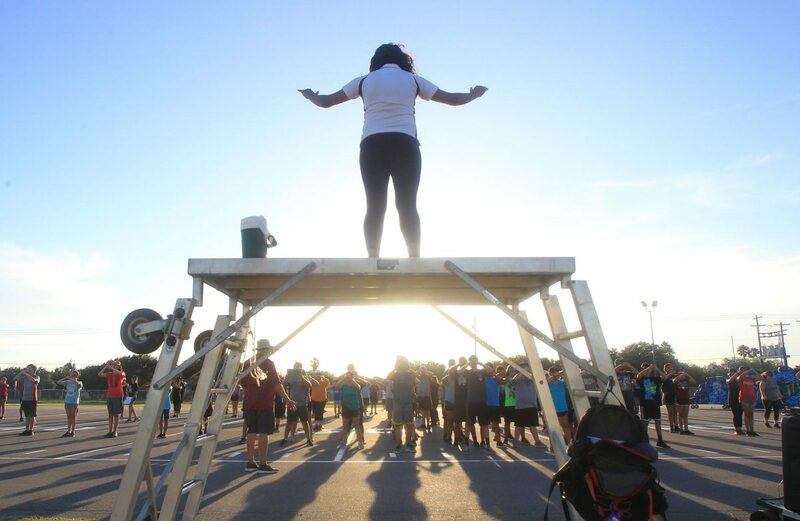 Despite the varying intensity from one year to the next, the drum majors agreed that there is always plenty of hard work involved in planning, rehearsing and performing their shows that remains unknown to others. “I can’t explain how much focus that each one of these kids has in their marching,” said Daniel Heredia, assistant drum major. “They have to make sure they know what time they’re on; they have to make sure they’re at the right place with the music; they’re playing with the right dynamics; they’re playing with the right articulation; they’re watching the drum majors; and they’re listening to what’s going on. One of the hardest things every year, whether it’s a state year or not, is ensuring all the students including the freshmen, are on the same level. It’s that idea of working together that makes their show this year so special to many of the students. Gallardo was just a sophomore the last time it was a state year for them, when they narrowly missed making it to the finals of the area contest, which is the state-qualifying contest.